We have served the technology industry since 1974 and the credit union industry since 1982. Our goal of partnering with our customers to deliver the highest level of diverse services and support has never changed. Our mission at Data Systems is to ensure Innovative Software Solutions, Leading Edge Hardware Solutions, Complete Integration, and Excellent Customer Service. 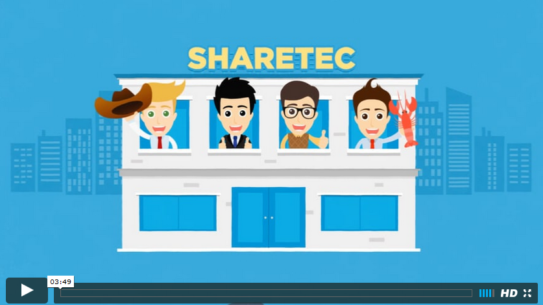 Since 1993, we have been a founding partner in Sharetec Systems, Inc. This partnership is committed to developing simple, yet robust processing solutions for credit unions. With over 300 installations nationwide in the last 20 years, Sharetec and Data Systems have been committed to “making the complex simple”. Hear what our clients have to say about us by clicking HERE . "We at Data Systems, along with our Sharetec business partners, have made a significant investment in cutting edge technology in recent years." Bob McEachern, President/CEO of Data Systems of Texas Inc.